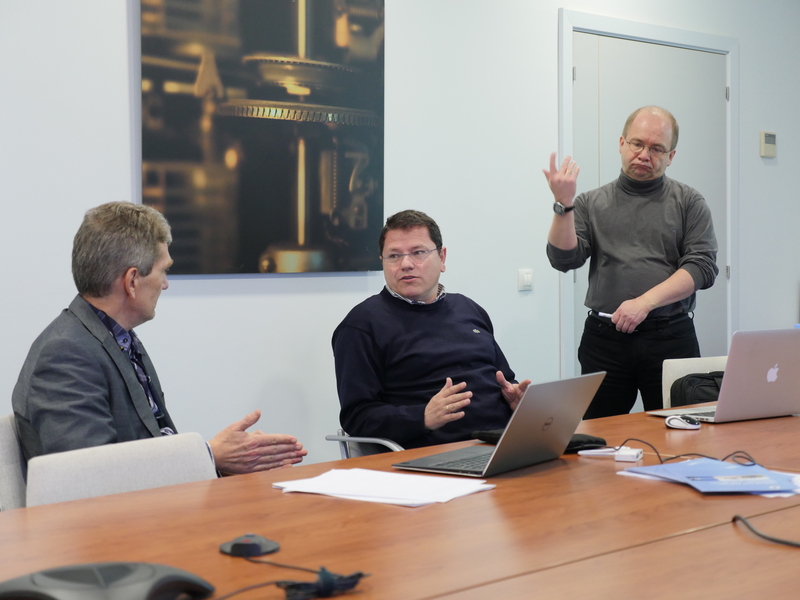 The LOMID project recently (January 2016) held a technical meeting to discuss progress during the first year, and the priorities for the next few months. Despite the delays caused by the loss of the original partner Slyde Watch, and the need to incorporate new chip technologies from the partner XFAB, the project is still on track compared to the formal milestone and deliverable schedule, although there was lively discussion as to how best to keep to the schedule for hardware prototypes. The first presentations and publications from the project are expected in the second quarter of 2016 – watch this space! LOMID partners discussing a technical issue. LOMID partners trying out a prototype visual prosthetic (non-project) from the University of Oxford, which will assist partially sighted people to navigate their surroundings. 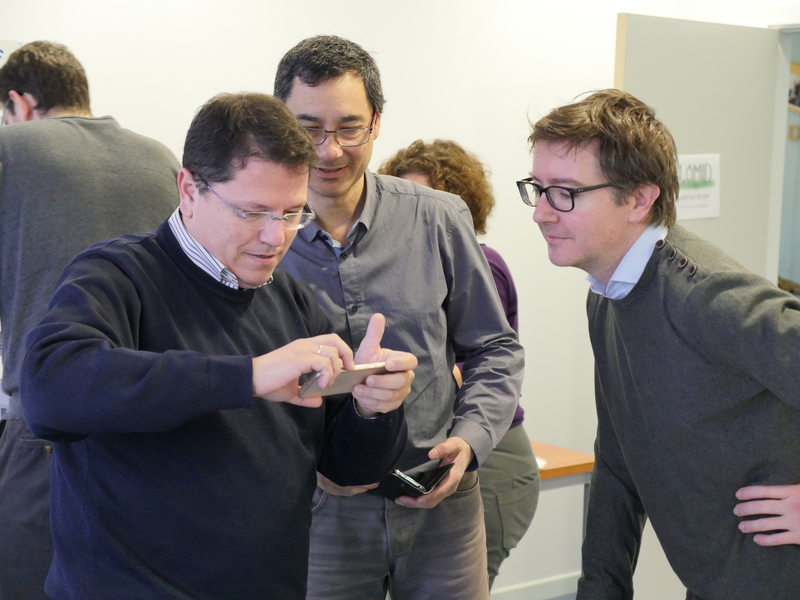 The project technologies will enable a more compact and versatile design, and the University of Oxford will develop new protoytpes within the project. 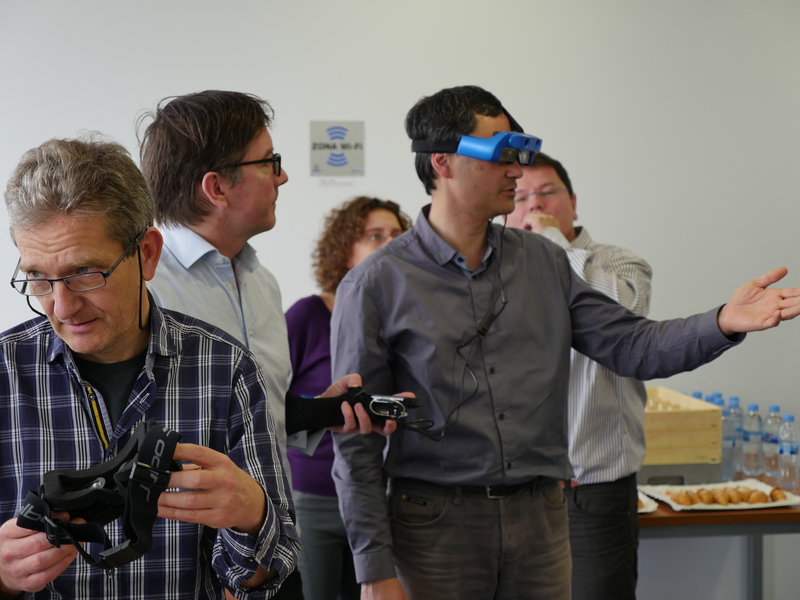 LOMID partners having their inter-pupillary distance measured prior to a demonstration of VR display technology from the company Limbak 4Pi who hosted the meeting.